Black cats, pumpkins, witches and ghosts make cute and easy Halloween quilt motifs that can be used to create wall hangings, table runners, pillow tops and appliqués. Free Halloween quilt patterns add scary fun to welcome holiday guests and goblins to your boo-tiful home. Stitch a spooky quilt with bats and ghosts, skeletons and Jack-o'-lanterns that finish quickly. Use fusible webbing and large, simple shapes to make your project quick and easy. 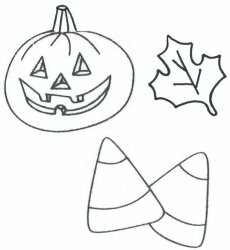 Add Halloween quilt patterns to decorate trick-or-treat bags or as a part of special party favors for guests at your next Halloween party. Use Halloween theme fabrics and add lots of purple, black and orange to give a festive look to your home this year. 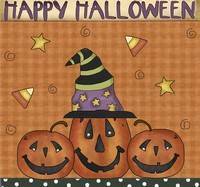 Here's a few Halloween templates you can print out for making Halloween wallhangings. 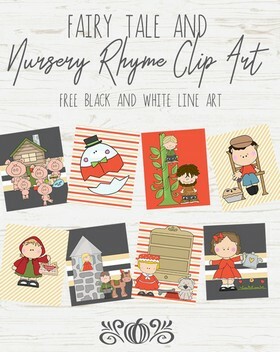 Click on the Halloween image at the left to view a printable pattern. This adorable wall hanging can be completed in just a couple of hours. 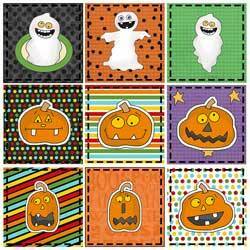 5 different Halloween blocks to choose from to make a block wall quilt, banner, or door quilt. 8 Halloween patterns to use for quilting or applique. Quilt blocks only - no pictures of a finished project. Use fusible web to make this project in a couple of hours. Includes cats, ghosts, bats and pumpkins.